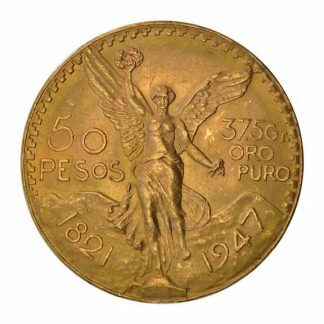 The Austrian 100 Corona gold coin was one of the most popular bullion choices in the 1970’s before the advent of the modern bullion era. The original Austrian 100 Corona gold coin was issued to commemorate the 60th anniversary of the reign of Franz Joseph I and was minted between 1908 and 1914. The reverse of this coin displays the Austrian Coat of Arms, a double eagle with crown. The edge of the Austrian 100 Corona is set-inwards with the term Vnitis Viribvs the personal motto of Emperor Franz Joseph I meaning “With United Forces”. 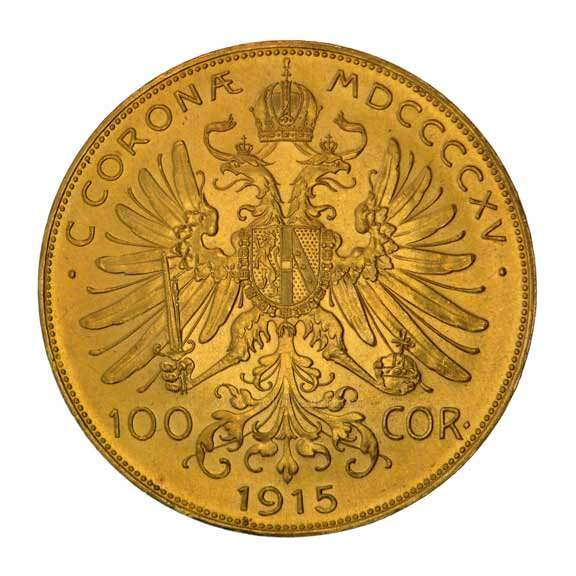 Today’s Austrian 100 Corona gold coins have a similar look but are dated 1915. These are modern re-strikes are produced by the Austrian Mint. A re-strike is an official reissuing of a coin which is no longer in production. 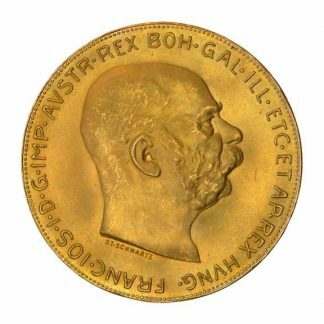 The Austrian 100 Corona gold coin (1915) it was reintroduced in large quantities to the world gold bullion market to compete with the South African Krugerrand and the Mexican 50 peso as the investing public began to notice the rise in the price of gold in 1975. Today both the Austrian 100 Corona and the Hungarian 100 Corona are traded side by side (exchangeable) both being of equal gold content (.98 oz pure) and both alloyed with a small amount of copper to increase durability. 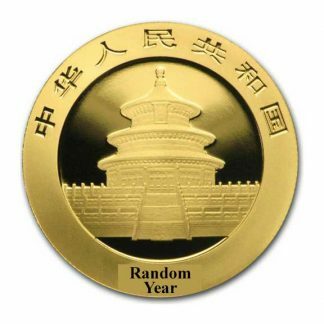 Neither coin carries a legal tender status although both are highly respected in the modern bullion world and enjoy a wide following. The Austrian 100 Corona offers advantages: (1) it is minted by a sovereign government so production, purity and weight are guaranteed. This allows precious metal dealers to post daily buy and sell prices. 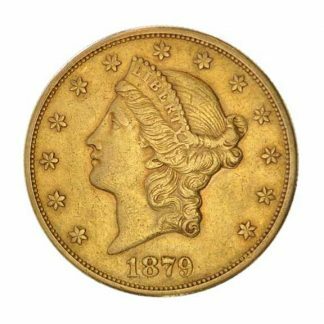 (2) The coin enjoys a worldwide audience because premiums are low and it is a recognizable bullion coin having been traded for more than 50 years. (3) The re-strike also offers a possible government foil. 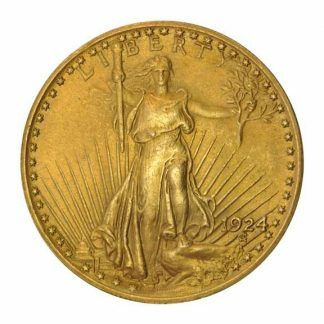 Because of its date (1915) this coin was a popular way of getting around the US prohibition on gold ownership prior to 1975 in the United States. For this reason some believe that if gold were confiscated in America both the Austrian 100 Corona and Hungarian 100 Corona might be exempt because of their dating. Whether you buy the argument or not it is none the less a reason for their continued popularity. (4) There is no reporting requirement (Federal Form 1099B) when buying or selling the Austrian 100 Corona or the Hungarian 100 Corona.